JLC - Jaeger-Lecoultre Master Grande Tradition Grande Complication White Gold. Jaeger-Lecoultre Master Grande Tradition Grande Complication White Gold. 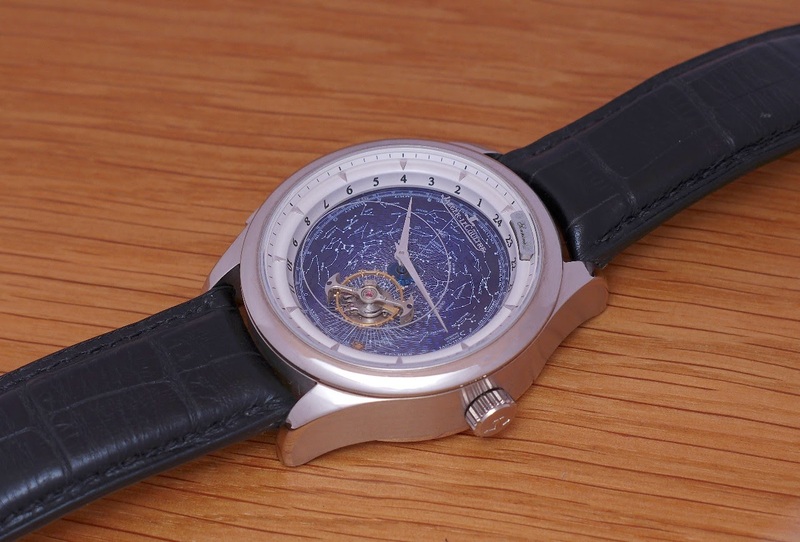 Unveiled in 2010, the Master Grande Tradition was not far from perfection, with a very nice dial, its tourbillon which turns all around the dial, and its improved minute repeater with the Trebuchet hammers borrowed to the Duometre à Grande Sonnerie, introduced in the catalog one year before. We had to wait five years to see this watch enjoying a new Master Grande Tradition case, much more elegant, but curiously, in rose gold, only. I took some pictures of the rose gold and white gold versions, to prepare a review I will soon post. But in the meantime, enjoy this picture! They made it, already... But without minute repeater. It would be great to see one without both minute repeater and tourbillon.